The Sneeboer transplanting trowel has a sharp pointed tip that cuts easily through soil to make digging, transplanting and separating a pleasure. 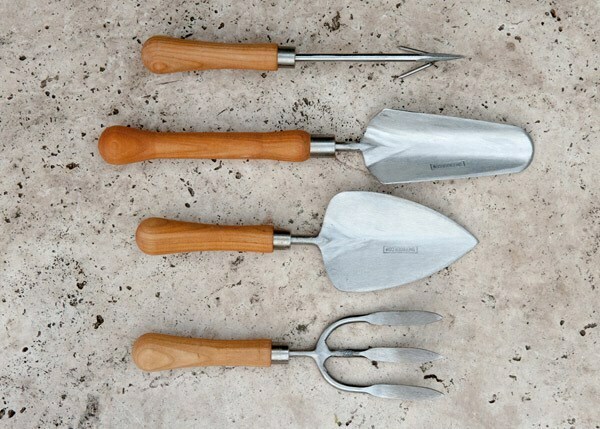 A favourite among head gardeners, the trowel's wide surface and scooped blade also make light work of moving soil for quick and easy potting and planting. The blade is hand forged from rust-resistant stainless steel and sharpened on all sides. The trowel is fitted with a slender FSC-certified smooth cherry wood handle for comfortable use.